The day is yours with the MCM™ Stark Double Logo Belt Bag. Softly textured genuine leather belt bag. Top zip-around opening for left compartment. 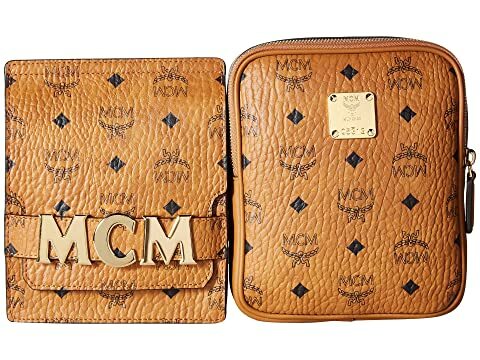 Right compartment features top fold-over flap with magnetic snap closure with gold-tone brand logo initials featured through the center. 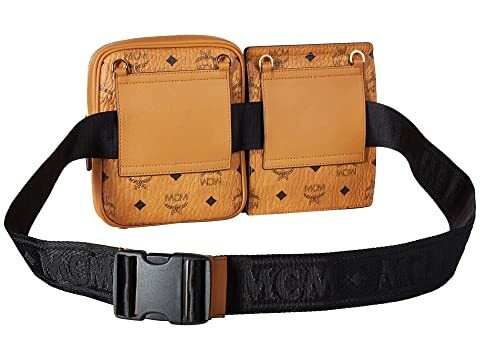 Adjustable waist strap with snap buckle closure that can be worn at the waist or across the body.